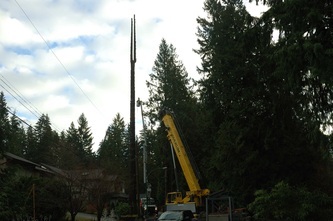 Large crane for removal of hazardous tree over three phase power lines. 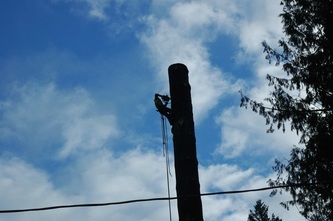 Severe rot from previous topping. 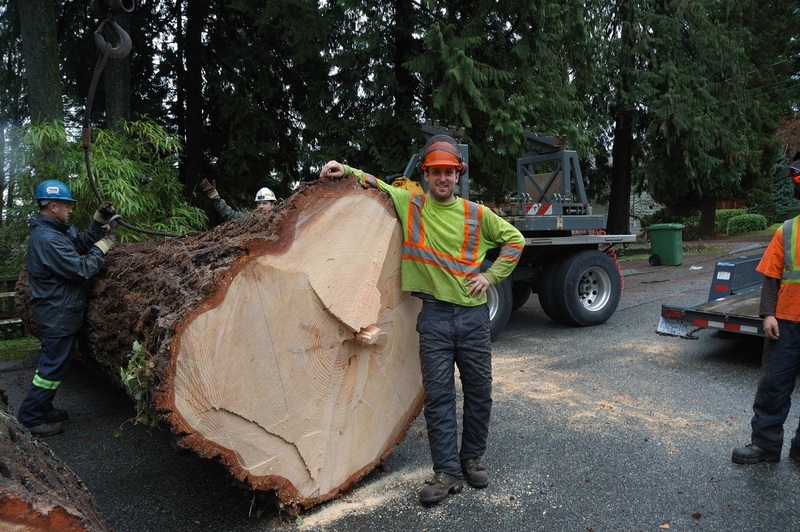 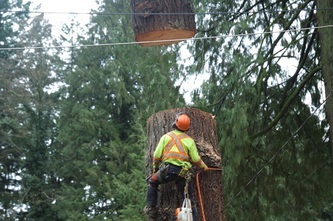 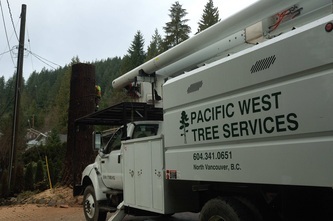 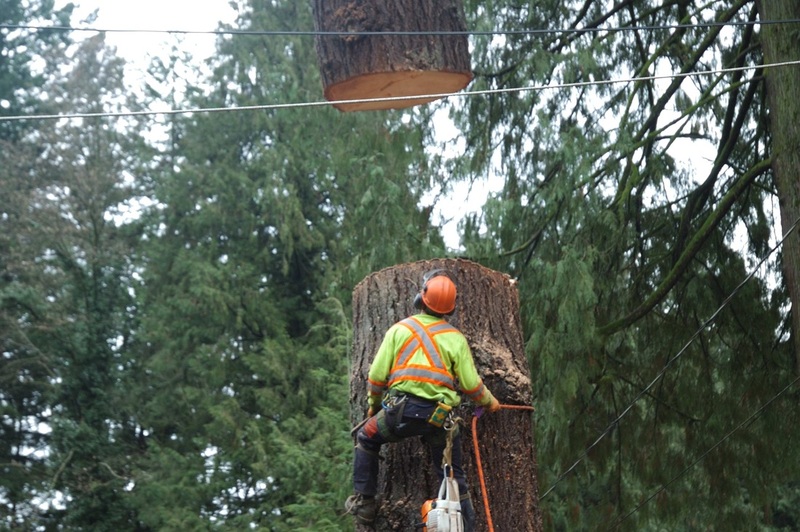 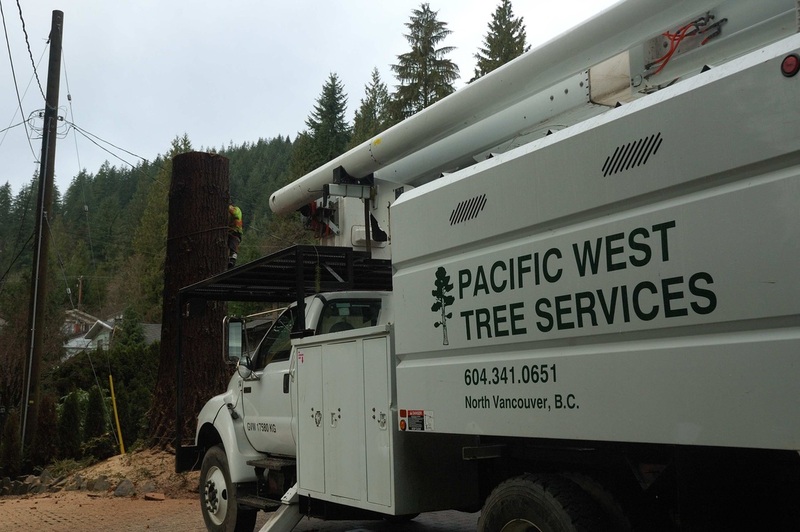 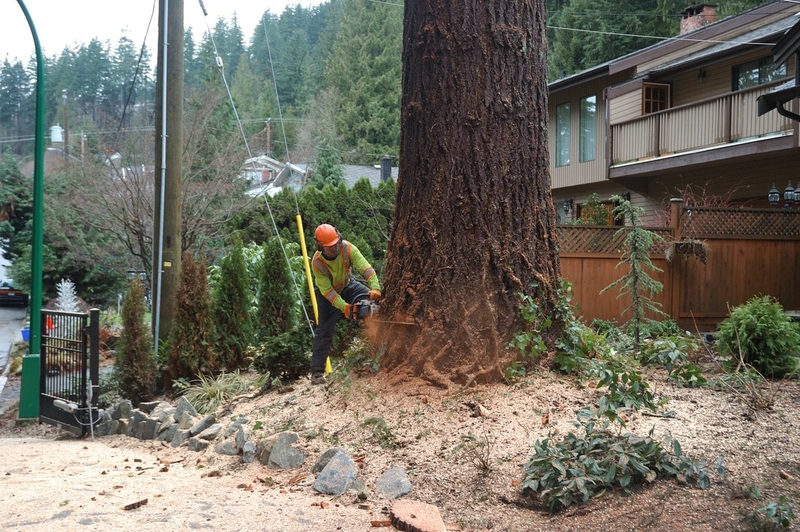 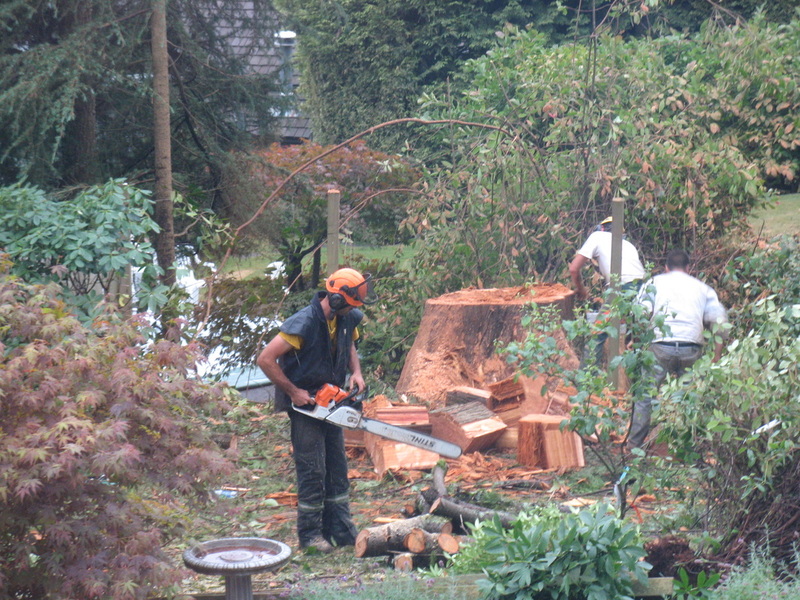 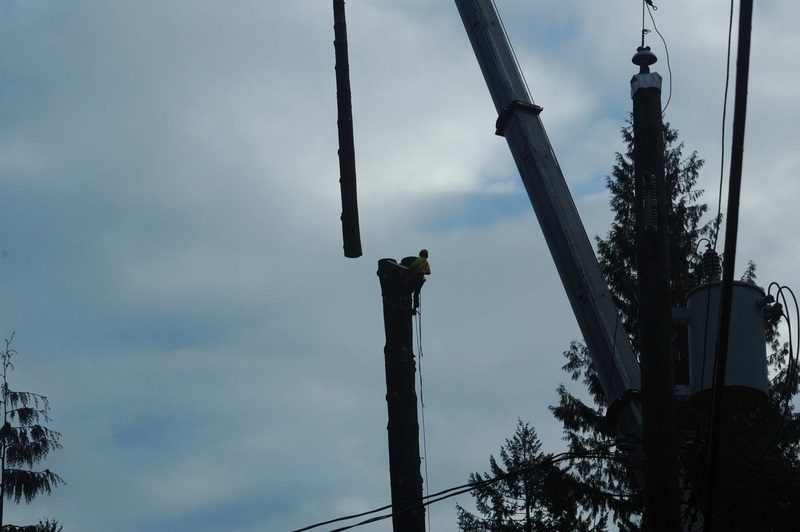 Storm Work in North Vancouver - Tree on Truck and Hydro Lines! 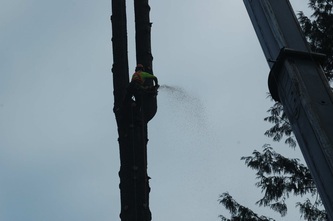 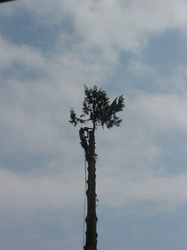 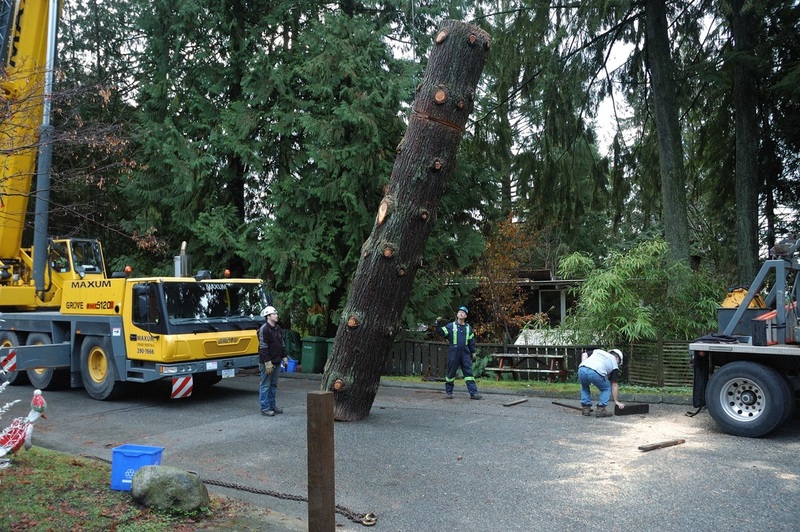 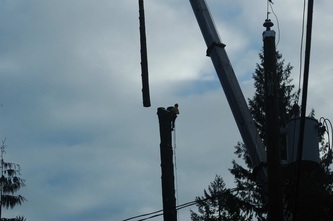 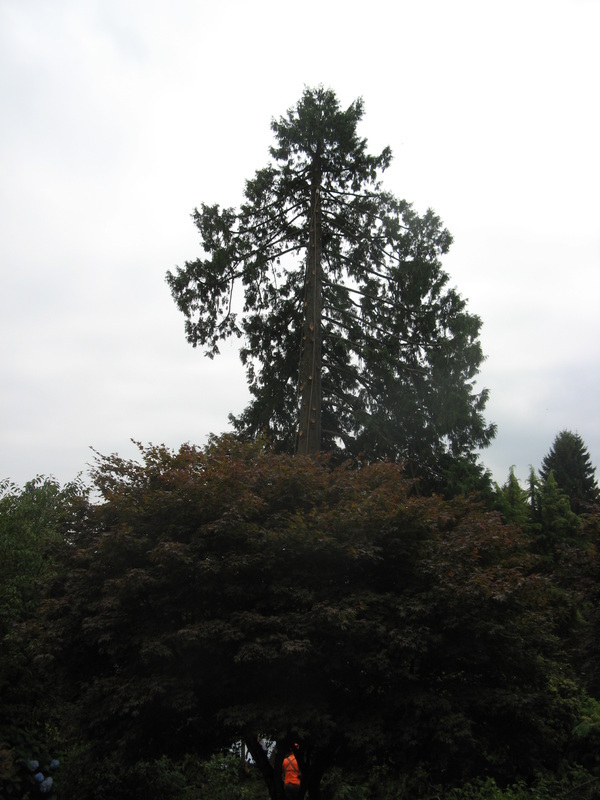 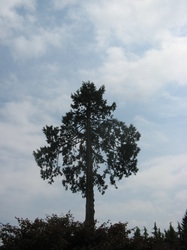 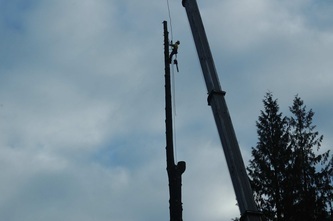 Crane removal of a large fir tree. Use of a conveyor for wood removal to eliminate damage to yard.